Well-known for its sport cars, and with a heavy involvement in racing from as early as 1911, Alfa Romeo has introduced many technological developments over the years, developed from their experience in Grand Prix. There's only one thing left to do before you head down to the dealership and buy an Alfa Romeo - brush up on the history of the famous Italian car manufacturer. Alfa Romeo's history dates back to 1906 in Italy with entrepreneur Alexandre Darraca, when he founded an automobile manufacturing company named the Societa Anonima Italiana Darraca. 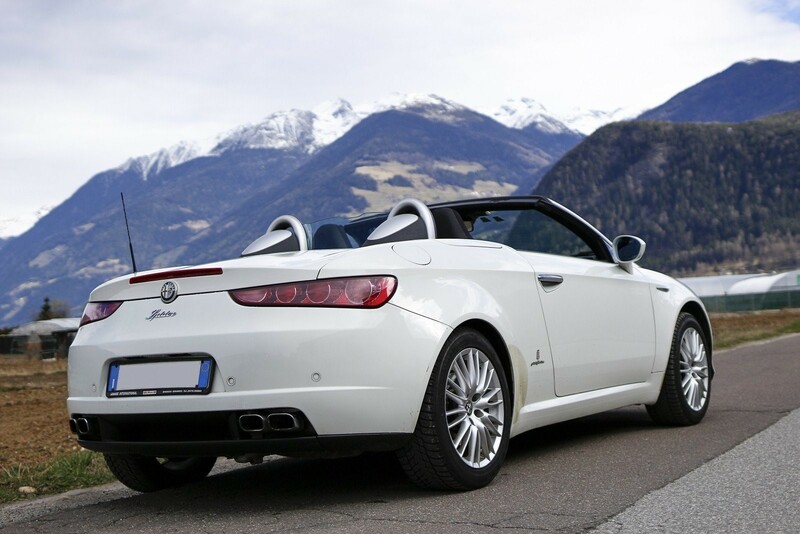 After being initially unable to make a profit, the company was restructured with more investors as Anonima Lombarda Fabbrica Automobili, or ALFA for short. Alfa's first car was the 24 HP, released in 1910, however within years of its release the company was forced to turn their production capabilities towards the Italian war effort, and car production resumed in 1919. After being renamed to Alfa Romeo in 1920 and releasing the Torpedo 20-30, the company entered a golden age in Italy, producing both racing cars and consumer road vehicles. After a slight downturn, the Italian government took over the country in 1933, helping it to become a national emblem. Although in the 1930s Alfa Romeo was booming, creating beautiful and unique vehicles like the Spider Corsa, once Italy entered World War II car production was forced to stop, and in order to return to profitability after the war Alfa Romeo briefly focussed on solely manufacturing engines. Once back to manufacturing cars, Alfa Romeo flourished, winning the first Formula 1 World Championship with the new Tipo 158 Alfretta, introducing its first off-roader vehicle, and debuting the popular Disco Volante. Their success continued into the 1960s and 70s, as they produced cars like the Giulia, Spider Duetto, and the Alfa 2600 and 1750 on a large scale. As well as more racing success and world records, the 70s also brought the famous 8-cylinder engine of the Alfa Montreal. Alfa Romeo didn't see a drop in sales throughout the 1980s like many other manufacturers did, and instead saw success not just in races, but also in their merger with the Fiat Group, which allowed them to mass produce the famous Alfa 164. However, sales fell in the 2000s, and Alfa Romeo has reduced its output as a result. Currently, the company is planning a return to the US automobile market, with new models of many of its vehicles such as the 4C and Giuletta. Even if you're in Australia, there's no need to worry, as there could be Alfa Romeo dealers near you with both new and used cars for sale - find them today and buy the Alfa Romeo you want!